You can elect for a one-off deep (30%) TCA peel as well as a range of other skin peels, including bea Skin Clinic's Body Peels. White skinned individuals with uneven skin tones can also benefit from Surface White mesotherapy. We have a wide range of peels and advanced treatment modalities available for all skin types. Our five acid skin peel, The Perfect Peel, is suitable for ethnic clients with uneven skin tones. Alongside our menu of traditional skin peels, vitamin infusions and direct mesotherapy injections for pigmentation, No Tear Microneedling is also helpful in the treatment of hyperpigmentation and melasma. For those who wish to avoid visible flaking, redness or swelling due to work commitments, social occasions and/or important events, consider a lighter, less concentrated skin peel using mandelic or lactic acid. Surface White and other forms of mesotherapy (with the exception of lipolysis injections) also have a relatively short downtime. Minor erythema (redness) usually subsides within 24-48 hours and can be easily covered with light makeup. In some cases, dark marks or patches of darkened skin may indicate a hormonal skin condition (melasma), environmental or UV-induced damage or an iatrogenic skin problem (for e.g., resulting from the use of bleaching creams). Depending on the origin or cause of complaint, at bea Skin Clinic we can treat these problems effectively with skin resurfacing, mesotherapy, IV therapy and/or LED light therapy. If you have dry and scaly patches of darkness, however, this may indicate psoriasis. For this condition, Vitamin Complex Injections at our sister clinic Vitamin Injections London along with LED light therapy forms a safer and more superior treatment plan than traditional UV light therapy. You can decide to opt for a medium or strong peel, such as: A TCA Peel; The Perfect Peel. Or mesotherapy treatments, such as Surface White, can also help with pigmentation - especially on the face. For best results, you can consider a combination approach using chemical peels and mesotherapy in alternating treatment sessions. If you are located abroad or outside of London and/or Kent, and wish to order our Meso-Infusion IV with Glutathione course, you will need to book a consultation with our specialists prior (this can be online via Skype) or you can come to the UK and collect the treatment after your consultation. You must know of a registered, qualified practitioner in your area that can administer our injections. Ethnic skin types - encompassing individuals of African, Asian, Oriental and mixed non-European heritage - have many different shades and undertones. For example: in order to attain a similar endpoint, African skin with a blue undertone (i.e. darker skin) will require more Meso-Infusion treatments than African skin with a yellow undertone (i.e. lighter skin). On account of this diversity, it is impossible to scientifically pinpoint the amount of glutathione that will be needed in order to achieve a certain shade of skin colour. The dosage is calculated according to your individual physiology and as such, it is ill advised to 'overload' glutathione injection dosages in individuals with darker Ethnic skin types. The degree to which you can lighten your skin by will also depend on a range of other factors - a combination of your genetics, lifestyle, health, age and skin condition. This will all be explained to you in your initial consultation. On average, each injection takes approximately 15-30 minutes to perform. Please note: you will be required to attend a comprehensive consultation prior to undergoing a course of Meso-Infusion IV therapy with one of our experienced specialists. You may undergo up to two Meso-Infusion treatments per week, or - if visiting the clinic twice a week isn't possible - you can opt for once every seven days. Unfortunately, we cannot publicly display any before and after photos of our skin lightening treatments due to client confidentiality. Please consult with our experienced practitioners regarding our skin lightening outcomes. How long do Skin Lightening results last for? As long as UV exposure is avoided and the skin is protected with an SPF of at least 30 in both overcast and sunny weather, a course of MesoInfusion treatments will render long-lasting results. We recommend occasional 'top ups' or maintenance treatments. Aside from our Solar Defence SPF 30, we typically recommend at-home maintenance products from the bea Skin Care line, particularly our Full Body Lightening range. What happens in skin lightening treatments? Using a butterfly syringe, the Meso-Infusion solution will be injected into the back of the hand or your elbow crease, according to your preference. The intravenous (IV) delivery of glutathione ensures that the antioxidant will reach the skin after being circulated throughout the bloodstream. All first-time Meso-Infusion clients will be required to embark on a course of 24 treatments at a bulk discount of 25% off. For specific costs, please download a price list from our website. The course price includes the 25% discount. Although our price list currently includes single treatment and 12 treatment course prices, we have discontinued the latter option. Single Meso-Infusion treatments will only be available as oneoff/maintenance treatments for clients who have previously completed a full course of at least 24 Meso-Infusion skin lightening treatments. Normal yet uncommon side effects include headaches, nausea, diarrhea and stomach cramps. Approximately 3 out of 10 people will experience at least one of these side effects. Typically, they will only occur during the first, second or third infusion and abate in subsequent injections. Yes! Meso-infusion ingredients are 100% naturally derived (glutathione, vitamin C and alpha lipoic acid are all safe antioxidants) and these ingredients - manufactured in a medical lab - are sterile and pure. They are all FDA approved and when injected by an experienced practitioner, side effects are extremely rare. In comparison, the long-term use of hydroquinone as well as other synthetic bleaching products is problematic. To learn more about hydroquinone side effects, please visit this page. For more detailed information about these ingredients, please visit our Meso-Infusion IV page at Vitamin Injections London, our sister clinic's website. For a treatment that selectively lightens hyperpigmentation, please take a look at Surface White mesotherapy, which involves the subcutaneous injection of pure glutathione directly into hyperpigmented areas of the face and body. We also offer a selection of full body chemical peels. Meso-Infusion treatments with glutathione are given intravenously (via IV) and lighten the entire body. Therefore, they cannot be targeted towards a particular area of pigmentation. Each Meso-Infusion IV dosage contains glutathione, vitamin C and ALA (alpha lipoic acid). These are calculated according to your physiological characteristics and thus, the mg/ml will be determined by your practitioner in consultation. We retail Glutathione Vitamin Suppositories and Lumi Glow Patches online from our Full Body Lightening range. These contain glutathione and are used for full body skin lightening at home. We also have a number of topical lightening products - take a look at our Master Antioxidant and Luminescence ranges. This could be a result of any number of things, including an allergic reaction to certain ingredients or dermal damage. Severe iatrogenic skin conditions such as ochronosis (hydroquinoneinduced pigmentation) typically require multiple treatments to ameliorate. Specially formulated vitamin infusions and skin peels are generally effective in the treatment of this condition. You will need to stop all use of unapproved bleaching creams prior to undergoing our MesoInfusion IV procedure. We retail safe Full Body Lightening supplements both online and at our Beckenham & Marylebone clinics. When venturing outdoors, wear an SPF of at least 30 throughout the healing period. Please be advised that exposure to the sun must be avoided for a period of three months following your last skin peel. To expose the skin to the sun would risk incurring blotchy skin pigmentation, which would require further treatment. The following day, our recommended bea Skin Care products can be used as normal, except for bea Skin Care’s Glyco 15 Serum. After the peeling process has finished, you may resume the application of Glyco 15 Serum and/or other AHA-based products. Whilst peeling is taking place, avoid the use of exfoliating products. Please refer to the instructions supplied in your aftercare kits. Prior to undergoing a skin peel treatment or course, our practitioners will recommend specific medical grade cosmeceuticals from the bea Skin Care range in order to prepare your skin in advance. All clients require a minimum of 2 weeks preparation using our medical-grade bea Skin Care products in advance of any TCA peel treatment. The protocols for other types of chemical skin peels vary. Specific timeframes will be discussed in your consultation. See our for more information or feel free to contact us. Yes, several of our skin peels require at home preparation, the degree to which depends on the peel in question. We always recommend our own brand bea Skin Care products for this purpose. For moderate cases of hyperpigmentation, sun damage, ageing, fine to medium depth lines, or a combination of any, our practitioners will typically recommend one or more TCA skin peels. A deep, one-off TCA peel can be performed on Fitzpatrick skin types 1-3. In darker skin types (Fitzpatrick type 4+), TCA peels have to be performed slightly differently, meaning that a greater amount of time has to be left in-between treatments. In such cases, we start off with a lower percentage TCA on darker skin types and increase the number of 'layers'. Typically, a deep TCA peel starts from 20% concentration. All chemical peels (AHA, BHA and TCA) take approximately 30 minutes to perform. For a TCA one off/deep peel, we allow 45-60 minutes per treatment. The only peels that cause temporary erythema (redness) and flaking are Salicylic, Jessner and TCA peels. With Kojic, Glycolic and Lactic acid peels, you don’t 'see' any dead skin cells shed, but they speed up cell turnover. As a general rule of thumb, blended skin peels such as The Perfect Peel and stronger chemical peels with TCA incur at least 5 days of social downtime, by which time the peel process will complete itself. Salicylic and Jessner peels are 'weekend' peels in that they typically require 3 days of social downtime. Normally, the skin doesn't start to peel until 48-72 hours after your treatment. No social downtime is required after AHA peels such as Kojic, Glycolic and Lactic acid. Occasionally, mild flaking and erythema (redness) will occur; this can be concealed with mineral makeup. We have many options available, including No Tear Microneedling, selected types of blended skin peels such as The Perfect Peel, and mesotherapy micro-injections (particularly Surface White). If in doubt, come and see us - we'll be happy to help! This is likely hypopigmentation, which is characterised by areas of skin whiteness as opposed to darkness (hyperpigmentation). Medical-grade No Tear Microneedling treatments, skin peels and LED light therapy can be used to treat this condition. Keloid and hypertrophic scars on the face and body can be treated with a series of low dose steroid injections (Kenalog at 40g/30ml water). Kenalog injections are heavily diluted so as to ensure that treatments remain safe and do not atrophy or damage any of the surrounding healthy tissue. As a guide, non-surgical BBL prices start from £450. As the treatment involves lipolysis injections, radiofrequency, Nithya injections and Meso Trax threads, the exact price is always given by our specialists in consultation. This is because the number of each treatment required varies from person to person. If you haven't already done so, please leave your full name and email with us so that we can send you our BBL information leaflet. Our customer service portal has been set up to provide you with answers to your most pressing questions! You can search this knowledge base, or - if you can't find the answer you're looking for - you can start an online chat with one of our friendly team members or email us at info@bea-skin.com. Please take a look at our business hours for more information. At bea Skin Clinic, we offer a comprehensive range of treatments and courses. All course prices listed in our Price List are inclusive of a bulk discount. If you wish to pay for a treatment or course yet are from another country, please use www.xe.com to establish the current conversion rate in GBP. Unless otherwise stated, we only accept payments in GBP. To download a copy of our price list, please visit this link. Yes! We offer professional bea Skin Care Medi-Facial courses, as well as skin peel courses and IV/IM therapy training for practitioners. Please visit this link for further information. 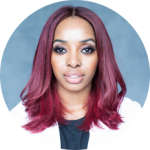 Bianca Estelle is a fully qualified Skin Specialist (alternatively known as an Aesthetic Practitioner or Medical Aesthetician). She studied Applied Science and Beauty Therapy at the London College of Fashion, graduating in 2002. Since then, she has undertaken extensive training in numerous non-invasive and minimally invasive aesthetic procedures. She is certified as an official clinical trainer for Lumenis in the UK and trains other medical practitioners in the use of Dermaceutics and PCA Skin products. For a more comprehensive list of Bianca Estelle and our supporting practitioner Olivia Austin's qualifications, please visit the About page on our main website. For all of our aesthetic treatments, we require you to be 18+ years of age at a minimum. Exceptions are made for acne treatments aimed at younger teenagers with parental consent. Please either leave your full name and email address with us so that we can notify you regarding our clinic dates. We will then add you to our notification mailing lists for either Antwerp or Abuja so that you can be alerted as soon as we have dates available. Also, you can email info@bea-skin.com and request a list of dates and times for our Antwerp and Abuja clinics from our Customer Service Manager. bea Skin Care can be purchased from our flagship Crawford Street clinic (pre-booked appointment necessary), from Breeze Yoga in Beckenham and online at http://www.bea-skincare.com. If you purchase the entire 5 Step Regime, you will receive a cleanser free of charge. We ship worldwide and offer free P&P on orders over £150 for those within the UK. Bookings at our location in Marylebone, London (Crawford Street) are available throughout the week, excepting Tuesdays, when we're at Breeze Yoga in Beckenham, Kent. To get in touch with us, please email info@bea-skin.com or call us on +44 (0)203 322 5958 during our business hours. A member of our Customer Service Team will be happy to provide you with treatment information, appointment dates, pricing, and payment information. We can also assist you with travel arrangements and Skype consultation bookings. Please note: although we can suggest potential procedures of interest, our Customer Service Team will advise you to speak to a member of our Clinical Team regarding more specific or individual concerns. We cannot provide you with medical advice; please speak to your GP if you are concerned about any aspect of your health and/or planned course of treatment. Paypal®) and will confirm your chosen date once we have received payment. Unfortunately, we cannot provide same-day appointments (walk-ins). Bookings at our location in Kent (Breeze Yoga) are available every Tuesday. To get in touch with us, please email info@bea-skin.com or call us on +44(0)203 322 5958 during our business hours. A member of our Customer Service Team will be happy to provide you with treatment information, appointment dates, pricing and payment information. We can also assist you with travel arrangements. Prior to booking a single treatment or a course of treatments at bea Skin Clinic, new clients must book and pay for an online or in-person consultation with one of our practitioners. To secure your booking, all consultations and appointments must be paid for in advance. We will send you an electronic invoice (payable via credit card, debit card or Paypal®) and will confirm your chosen date once we have received payment. All new clients MUST book a consultation prior to booking a treatment at bea Skin Clinic. We can only officialise your appointment and confirm your chosen date once payment is received by us. You may select your preferred consultation option as well as a date and time, according to our availability. We highly recommend that you complete the payment process immediately in order to secure your appointment date. Your preferred space will remain open until we receive your payment. If you haven't visited us before, please start by getting in touch with us through our website's contact form, emailing info@bea-skin.com or calling us on +44 (0) 203 322 5958. These start from £100 and are a professional service offered by us. At bea Skin Clinic, consultations are obligatory. This fee is redeemable against treatments and/or courses purchased at bea Skin Clinic on the same day. If you meet this condition and purchase on that day, the cost of your treatment or course will be discounted from the amount paid for your consultation. Consultation fees are not, however, redeemable against products from the bea Skin Care range. If you choose to book via email, your appointment will only be confirmed once we have received payment via our online invoice, which will be sent to your email address by a member of our Customer Service Team. You can pay via Paypal or all major Debit/Credit Cards. For a full list of consultation and treatment prices, please download a price list from our website. Returning clients who have already undergone a consultation/treatment at bea Skin Clinic may book a treatment or course package through our contact form, via email or by calling the clinic. Please bear in mind that, in rare circumstances, you may be asked to swap your chosen treatment or course for another if it is determined to be unsuitable for your particular case. If you choose to book additional treatments and courses via email, your appointment will only be confirmed once we have received payment via online invoice. If you elect to book a course of treatments through our secure online booking form, please note that you will only be able to book a time for the FIRST treatment in the course. Subsequent times and dates must be arranged by our team, who can be contacted at info@bea-skin.com. Prior to booking your consultation at any of our clinics or online via Skype, we will send you an electronic invoice via email (you can use Card or Paypal to complete the transaction). Once this is done, you'll receive an obligatory Medical Questionnaire from us to fill out in advance of your appointment. Please note: we require this payment in order to secure your appointment date. Until this is received and confirmed by us, your preferred space will remain open to others. To get in touch with bea Skin Clinic outside of these hours, please drop us a message in chat (leaving your email address), visit our online contact page or email info@bea-skin.com. We will respond as soon as we are back.